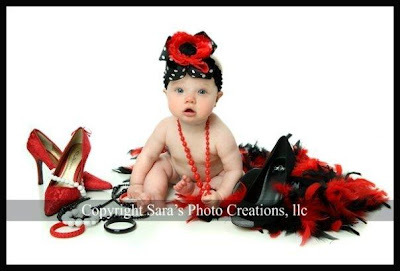 These are some proofs of Kendall’s 6month Photo Shoot!! Sara (www.sarasphotocreations.com) did a wonderful job of course! She is like the baby whisperer! ha! I love this one like Mommy/God Mom like Daughter! HA! Kendall is as cute as a flower in this flower pot!!! Ah……now here we go……….. Kendall is a model it is official!!! 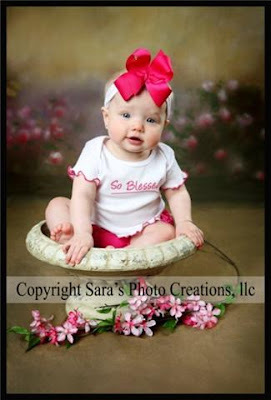 Melissa also had Kendall’s picture taken with bunnies for Easter at a Motophoto and they are adorable. 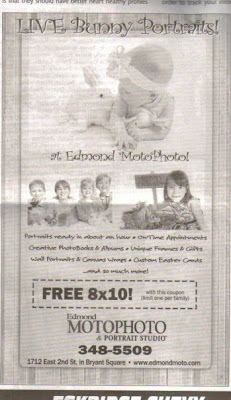 Well to Melissa and everyone’s surprise here she is STARING in an ad in a Edmond magazine!!!! Melissa grabbed a ton of copies and when Kendall gets older she will love to have this as a keepsake! Baby whisperer…I love it:) Thanks Nicole..you are so sweet! I love to read your blog!